“So many men and women who served our country did so much more than me and were in so much more danger than I was on my four-month tour. I can’t have PTSD, I told myself, because I didn’t earn it.” Like many veterans, Jason Kander denied his own post-traumatic stress disorder (PTSD) because he “didn’t earn it.” (The Washington Post and A Personal Note from Jason Kander). He called the Department of Veterans Affairs’ Veterans Crisis Line, “tearfully conceding that, yes, I have had suicidal thoughts.” He is now in treatment. Kander was one of the lucky ones; after 11 years, he is getting the treatment he needs. But not all veterans are so lucky. 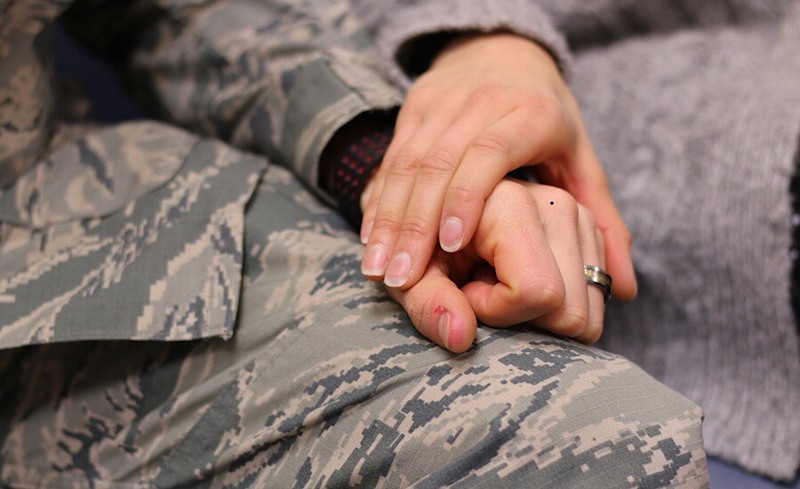 PTSD may go undiagnosed for years, or it may manifest days after returning from deployment. One study found that as many as 30 percent of Vietnam theater veterans reported symptoms when interviewed 20-25 years post-Vietnam. What if someone had seen Kander’s distress and reached out to him? What if someone had guided him to the treatment he needed? What if someone close to him had been trained in Mental Health First Aid for Veterans? During November, we observe the sacrifices our veterans have made and thank them for their contributions to our freedom. By signing up for a course in Mental Health First Aid, you can make a lasting difference in their lives. Not just on Veterans Day – but every day. The new updated Mental Health First Aid for Veterans module responds to the special mental health challenges of the men and women who have served our country. The module provides a fundamental understanding of the common mental health challenges experienced by military personnel – like PTSD – and the skills to identify and respond to a veteran who may be in crisis. It also teaches strategies for veterans to better assess and access support for themselves, their colleagues, families and community members. You can #BetheDifference for our veterans. Get trained in Mental Health First Aid for Veterans. Look for a course in your area and sign up.